General diagnostics provides information on the current health of the patient and delivers important clues as to the necessity of additional diagnostic procedures. At Praxisdienst, you will find a large selection of devices and instruments for carrying out general examinations. Anatomical models, training models and medical wall charts for all areas of expertise. We offer a comprehensive assortment of anatomical models from HeineScientific. 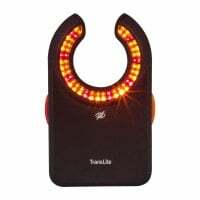 In this category, you will find baby scales and toddler scales from Söhnle, Seca and Kern for precisely weighing infants. In the "Batteries" category, you will find both rechargeable batteries, as well as disposable Duracell batteries for powering your diagnostic devices. 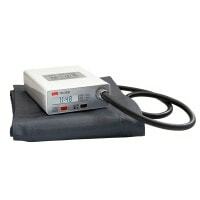 Praxisdienst offers a wide selection of sphygmomanometers and digital blood pressure monitors from well-known manufacturers at affordable prices. Diagnostic lights for illuminating the mouth and throat area during general or ENT examinations - available with or without a tongue depressor holder. 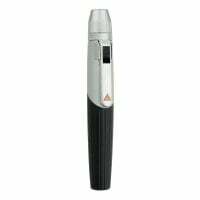 This category includes special testing devices for checking temperature sensitivity, skin sensitivity and vibration sensation. Here, you will find a number of German medical books, which are ideal for students studying medicine in German speaking countries. Discover our large selection of thermometers for digital and analogue measurement of body temperature. Here, you will find various diagnostic instruments and testing devices for home use i.e. 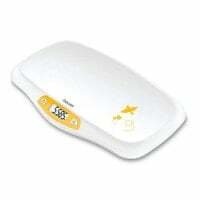 glucometers, blood pressure monitors and even ECG machines. 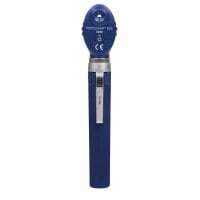 Whether you are looking for otoscopes, ophthalmoscopes or dermatoscopes, this category provides a comprehensive selection of diagnostic instruments and adaptable accessories at attractive prices. We offer a comprehensive assortment of calibrated and uncalibrated personal scales from Soehnle, Seca and ADE: mechanical personal scales, column scales, wheelchair scales and baby scales. In this category, we have compiled a collection of high-quality reflex hammers and tuning forks for you. Buy affordable eye charts for testing eyesight, colour vision and stereoscopic vision. From cardiology stethoscopes to electronic stethoscopes, we offer a wide selection of high-quality, brand name stethoscopes e.g. from Littmann. In this category, Praxisdienst offers you various measuring devices for length and circumference measurement in adults, children and babies, alike. In the "Vein Finders" category, you will find special devices for making veins visible in patients with poor vein conditions e.g. children or elderly patients. In this category, you will find inclinometers, goniometers, scoliometers and other orthopaedic diagnostic tools. With us, you are offered a large selection of acoustic and electronic stethoscopes from the world renowned brand Littmann. You can also purchase the compatible accessories at affordable prices. Whether you are looking for torso models, acupuncture models or skin suturing trainers, Praxisdienst has the anatomical model you need amongst our comprehensive selection of high-quality anatomical models used for patient clarification, teaching purposes or for training. An orienting examination is an important element in general diagnostics. This exam can greatly vary depending on the medical discipline. In optometry for example, the vision test with a Snellen chart is part of the standard exam, whereas an ENT doctor would say that otoscopy with an otoscope represents the basis of an examination. General diagnostics for a general practitioner typically includes multiple elements. 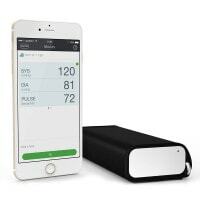 Mostly, a sphygmomanometer is used to measure the patient's blood pressure which is subsequently documented. 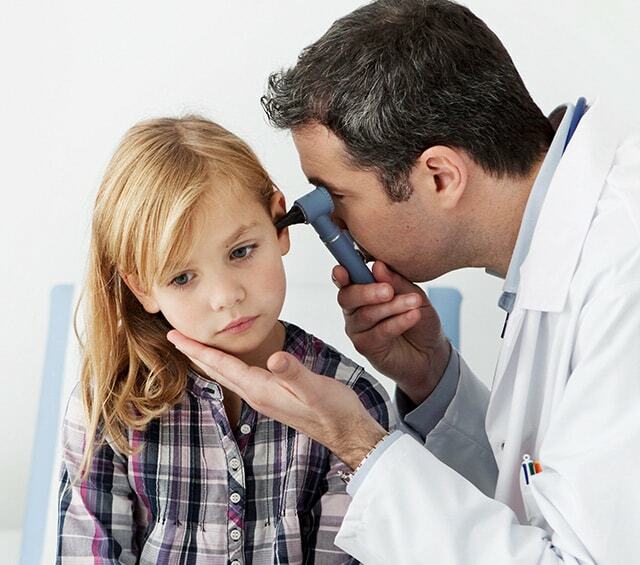 When cold symptoms are present, the doctor will illuminate the inside of the patient's mouth and throat using a diagnostic torch before auscultating the lungs with a stethoscope. Determination of the body temperature using a thermometer also provides important clues regarding the severity of the illness. Diabetologists and internists as well as general practitioners and gynacologists require personal scales as part of their standard equipment, as body weight is an important parameter used for determining a patient's general health. Whether you need a sphygmomanometer or a fully automatic blood pressure monitor, Praxisdienst offers you a wide selection of blood pressure monitors for quick and precise blood pressure determination. Of course, you can also order 24-hour blood pressure monitors with which the blood pressure changes over the course of the day are clearly represented. 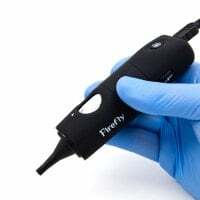 Pen torches and diagnostic lights are excellent for illuminating the oral and laryngeal cavities of patients with a cold. They are also useful for more precisely observing wounds or for testing the pupil reflexes. Sensation testing tools are mostly used for polyneuropathy exams. Temperature sensitivity, skin sensitivity and vibrational sensitivity can be examined using sensation testing tools. At Praxisdienst, you will find monofilaments, temperature sensory testers and tuning forks as well as many more useful items. The determination of body temperature is not only an important part of general diagnostics in paediatric medicine, but also for adults. A fever usually indicates that the body is fighting off germs or other foreign bodies. However, it can also be connected with inflammatory processes. 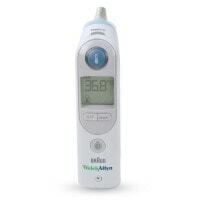 At Praxisdienst, you will find classic thermometers as well as ear thermometers, forehead thermometers and digital thermometers at affordable prices. 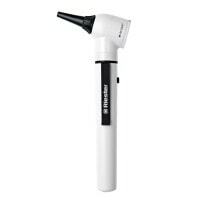 Whether it is otoscopes, ophthalmoscopes, slit lamps or nasal specula that you need, you will find a wide selection of diagnostic instruments from Heine, Riester and Welch Allyn. 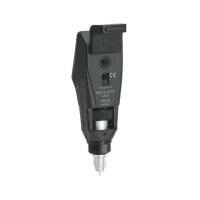 The instrument heads can be combined with the compatible handles so that multiple instruments from the same series can be used with a single handle. Of course, we also offer you the compatible accessories for general diagnostics with diagnostic instruments. From ear specula to batteries and replacement bulbs, we have all of the important accessories in our shop. Body weight plays an important roll in the treatment of many metabolism and circulatory disorders. The weight of babies and children is determined during general medical check ups in order to document the child's development. At Praxisdienst, you can find a wide range of personal scale for children and adults, as well as diverse baby scales that provide a precise measurement of the body weight. Testing of the patient's muscular reflexes also belongs to the general diagnostic procedure. As a rule, these are usually stimulated by a reflex hammer. In our shop, you will find reflex hammers of various shapes and sizes at affordable prices. 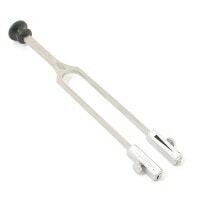 We also offer you tuning forks for testing the vibrational sensitivity and for determining auditory damage. In this category, you will find classic eye charts for determining visual acuity, as well as stereo tests for testing the stereoscopic perceptibility and even colour charts for determining red-green deficiencies. The stethoscope is the classic amongst diagnostic instruments. Whether it is being used for auscultation of heart, lung or intestinal sounds or even for manual blood pressure measurement with a sphygmomanometer, stethoscopes have diverse medical applications. At Praxisdienst, you may not only find stethoscopes from Riester, Welch Allyn or Teqler, but also the high-quality and precise brand-name stethoscopes from Littmann. In addition to simple stethoscopes for general diagnostics, we also offer you special cardiology stethoscopes at affordable prices. In this category, you will find everything you need for measuring a patient–be it the abdominal circumference, height or head circumference. In addition to tape measures and stadiometers, we offer you electronic stadiometers and measuring mats for infants at affordable prices. Here, you will find a diverse selection of clinometers and goniometers for measuring ally types of asymmetries during general diagnostic exams in the orthopaedic practice. From scoliometers and goniometers to podoscopes and inclinometers, Praxisdienst has all of the diagnostic instruments you need for orthopaedics. Are you looking for a specific product for general diagnostics, but cannot find it within our assortment? We can special order many of the products you need. Simply contact us and our customer service will do their best to find a solution for you. You can reach us by telephone, chat or email.